Business majors think differently than acupuncturists. And sometimes acupuncturists have to think like a business person. Points to Ponder offers some concepts business majors might think about automatically. 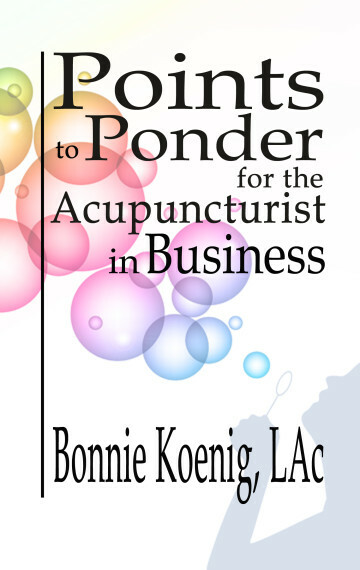 Acupuncturists can use this short book to help them prioritize where they need to improve their business skills, or to consider areas that they might need to improve.